Welcome to the Virtual Spine website. This site is intended to be a resource for educators and students looking for tools to facilitate the teaching and learning of Spine Anatomy and Ultrasound Imaging of the Spine for regional anesthesia. This project was initiated by Dr. Vincent Chan and Dr. Ahtsham Niazi and developed by Jodi Crossingham MScBMC (View Profile) and Gordon Tait PhD (View Profile) to create interactive online teaching modules. The Lumbar Anatomy Teaching Module has been designed to aid students and educators to understand and teach lumbar spinal anatomy by providing them with interactive 3D visuals and complementary text. Explores the lumbar anatomy of the vertebra, ligaments, joints, muscles, the spinal cord, and meninges. The Lumbar Spine Ultrasound module is designed to teach ultrasound-guided regional anesthesia for the lumbar spine. It includes an animation illustrating the flexion of the lumbar spine during patient positioning to open the intervertebral spaces, facilitating the insertion of needles into the spinal canal. 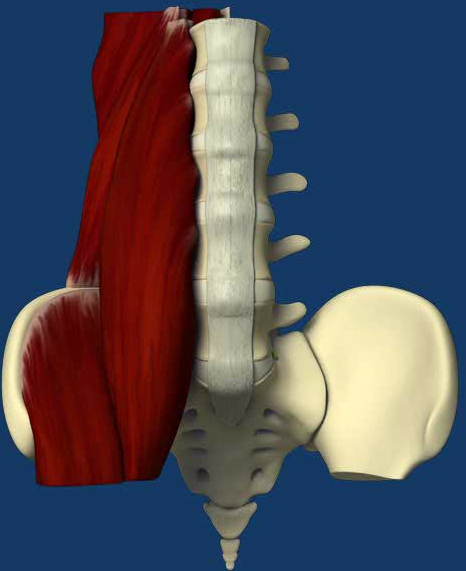 The module also contains a section teaching the sonoanatomy of the lumbar spine and the paravertebral space. 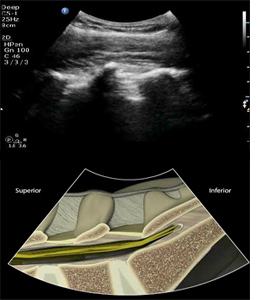 Finally, the Simulated Scout Scan section is developed to allow users to perform a simulated ultrasound imaging of the lumbar spine and needle insertion for spinal anesthesia. Educational grant was provided by Physicians' Services Incorporated Foundation. Financial and equipment support was provided by Philips Ultrasound (Bothell, WA).